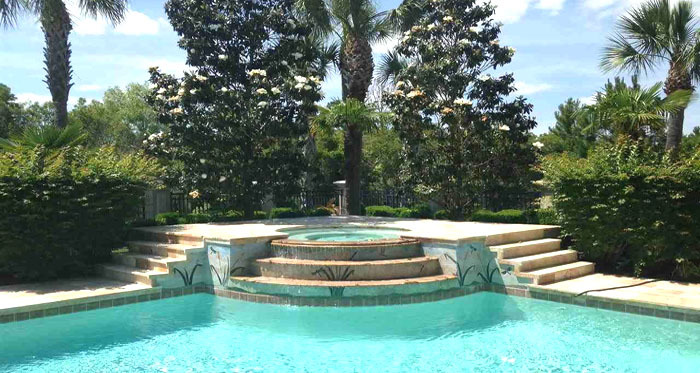 With lush tropical landscaping and sophisticated opulence, Tuscany Village offers you a lifestyle like no other. First developed in 2006-2007, this gated community in Grande Dunes features primarily Mediterranean-styled homes and is reminiscent of the most fashionable Florida communities. Close to the Members Club on the west side of the Intracoastal Waterway, Tuscany transports you from the beach to a rarified world of riches. You will never want to leave the comfort of your luxurious Tuscany home. Trey ceilings and ornate moldings add to the feeling of rich luxury. Incredible master suites are spacious with huge walk-in closets and marble-tiled bathrooms with glass showers and granite countertops. Gourmet kitchens feature state-of-the-art appliances. Formal dining rooms are the perfect places for dinner parties or take dinner to the back terrace on patios equipped with fireplaces and outdoor ovens. Entertain your friends in your private pool or hot tub under starry skies. Many homes offer picturesque views of the golf course and nearby ponds. When you do leave home, you will love the convenience of the Tuscany Village location. Shopping is a breeze with Lowes Foods only 1.5 miles away. Barefoot Landing, Broadway at the Beach, and all the great shopping opportunities along the Grand Strand are just minutes away.Restaurants such as Ruth’s Chris Steakhouse and entertainment like the Carolina Opry are nearby. The Grande Dunes Golf Course and Grande Dunes Tennis Club are practically in your back yard. The Grand Strand Medical Center is about 2 miles away. Best of all, you are just minutes from the beach! 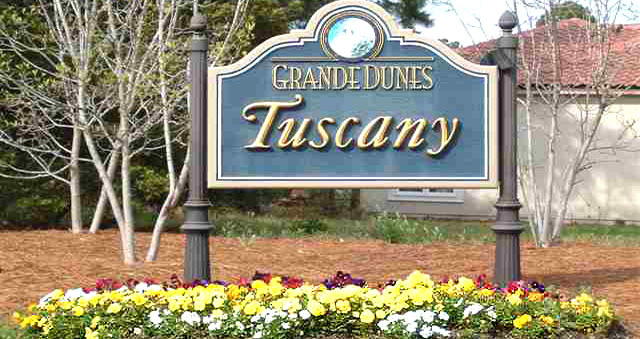 Tuscany Village homes offer a lifestyle beyond compare. Prices start in the upper $600Ks and run to over $1 million for incredible estates with mother-in-law suites, immense covered lanais, and unbelievable entertainment features inside and out. Some lots are still available and prices are in the upper $100Ks for those who are looking to build. When looking for homes for sale in Myrtle Beach, let our real estate experts help you to find the very best fit for your family. 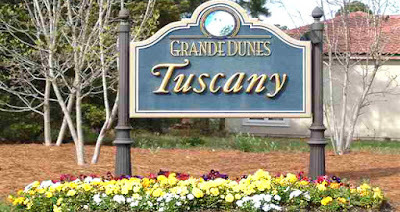 If you are looking for a community that offers a lavish lifestyle and amenities that delight, call us today and schedule a tour of the amazing homes in Tuscany Village in Grande Dunes.